First and foremost, I have to say upfront that it’s not my intent to turn this photography blog into some kind of gear review site! 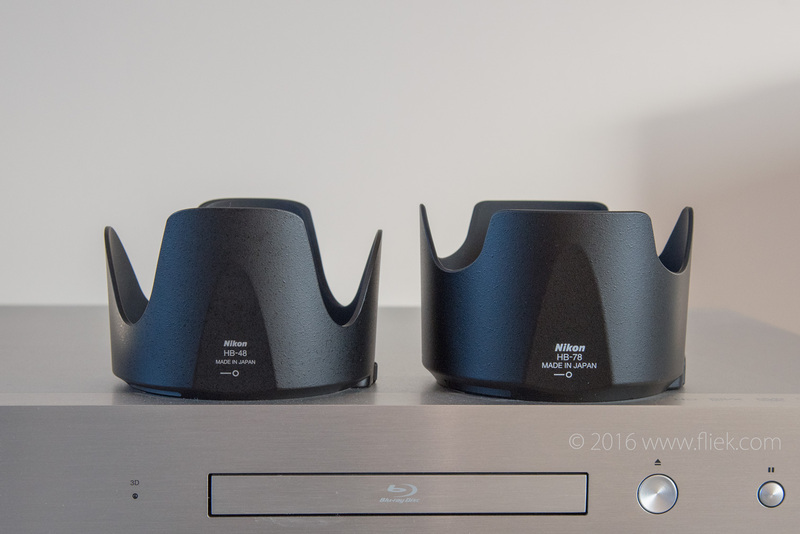 So why another (short) review? 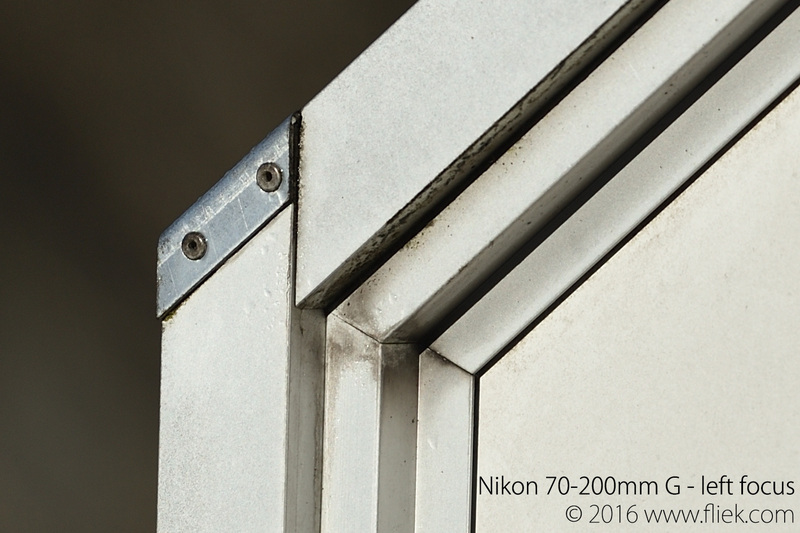 I recently got myself Nikon’s improved version of the already very good 70-200mm f/2.8 zoom lens. 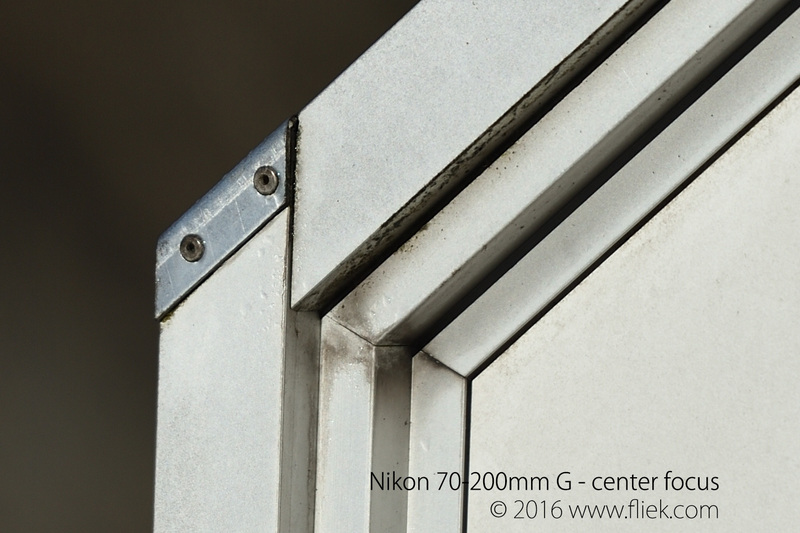 For those who haven’t noticed yet: Nikon is involved in a wave of lens improvements, where some are equipped with its latest fluorite lenses and technology. Fluorite means less weight and increased sharpness, even at lower apertures, and across the entire lens, so from center to edge. So where’s the catch? If there is one, it’s definitely price. These new lenses are up to 25-50% more expensive than their predecessors. But, sharper at lower apertures can easily mean one stop gained, and a reduction in ISO of 50%, which means better quality images, especially in combination with high shutter speeds (birdies flying, predators running etc.). For example, I was used to often shoot the 70-200mm f/2.8G ‘old’ lens at f/4 as it was just a little soft at f/2.8. Starting at f/4 my images were usually tack sharp. Now, the promise is that the new lens may already be acceptable sharp at f/2.8 which makes for a very tempting upgrade. And there are some other benefits as well. 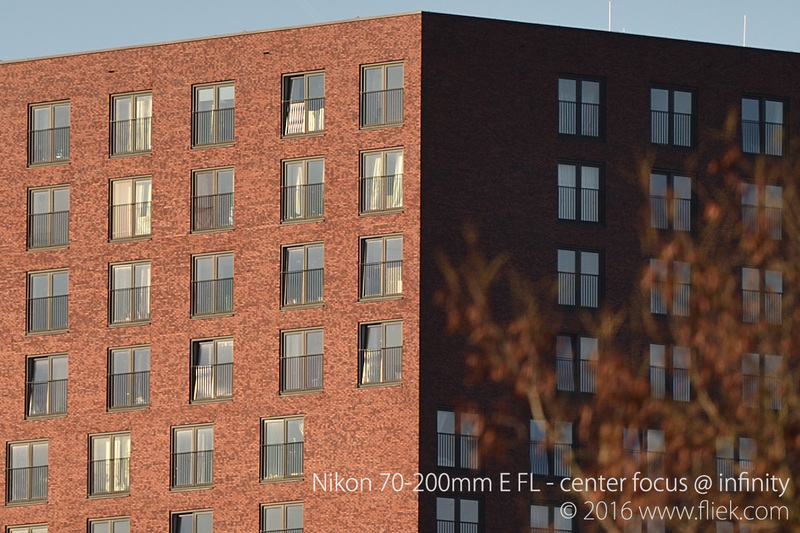 The 70-200mm f/2.8G lens is known for its ‘focus breathing’. Basically, subjects shot at 200mm from a close distance look as if they were shot at around 135mm. 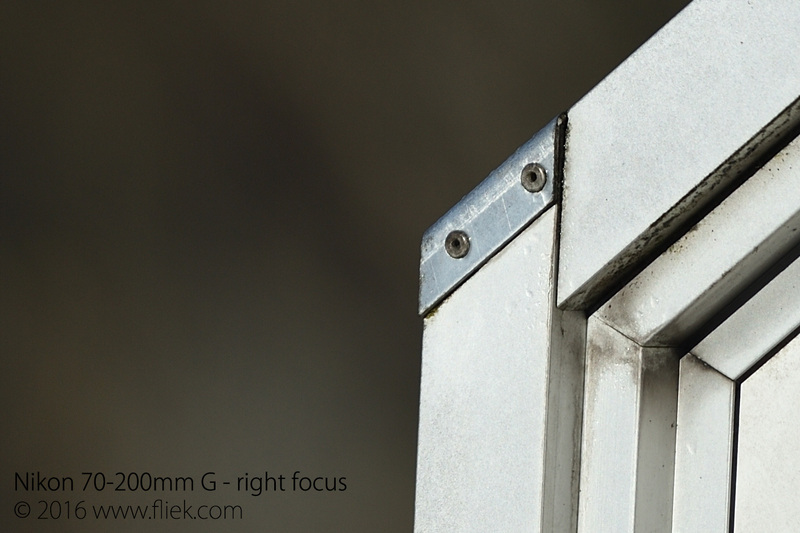 Pay for 200mm, get 65 mm less… The new lens is also a bit shorter (few mm) but more importantly, 110 gr. lighter. Not a big difference, but nice. I can be quite critical when it comes to these expensive toys, so I actually want to make a compliment as well for a change (which is also critique by the way…): there’s a smart person or group of people out there at Nikon who realized the previous lens cap didn’t have the most useful shape: you couldn’t rest the lens on the cap when attached to the lens. Not something you would do all the time but sometimes it does come in handy if you quickly need to put your lens on a flat object; e.g. table, chair/seat, or similar. The current shape allows you to do just that: the cap is now perfectly shaped to put your lens on a flat object, relatively stable. 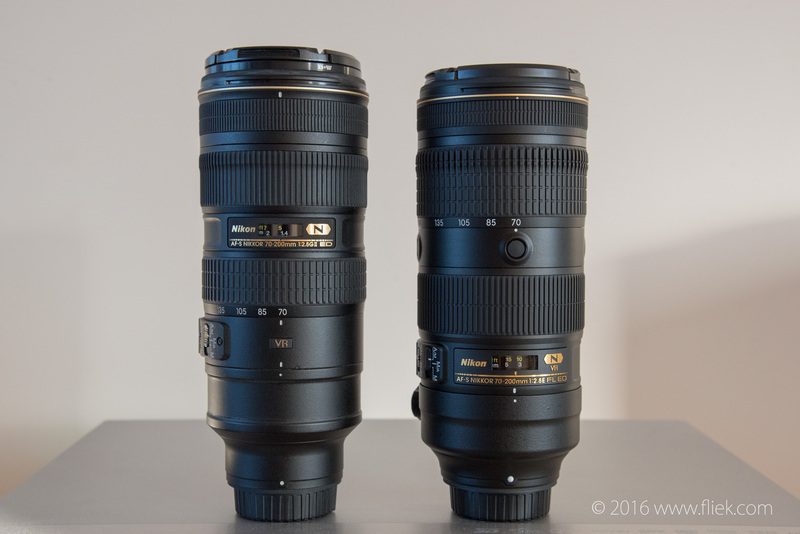 OK, let’s have a closer look at the performance of the new lens compared to its predecessor. Now, I only spent a couple of hours shooting and comparing the images, and as a result I mainly focused on the performance differences at f/2.8 which is where I’d like to shoot this lens at on my coming trips. 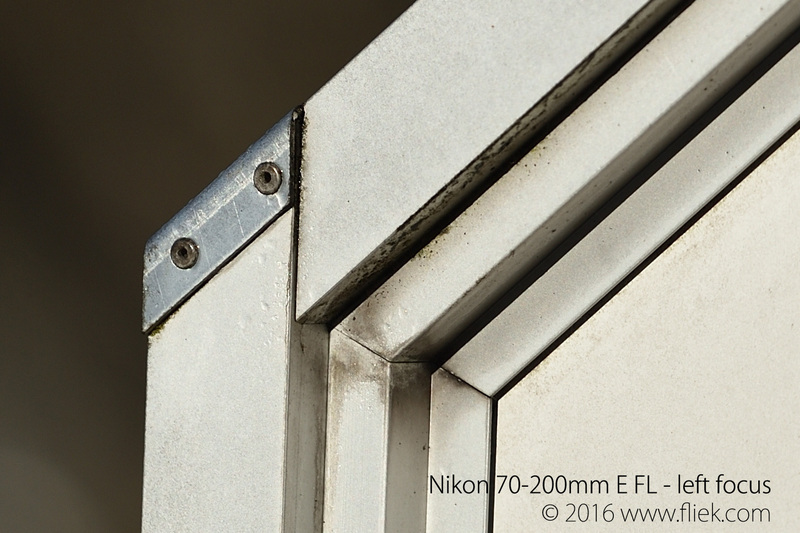 All images shot wide open (f/2.8) with a Nikon D4S attached. All images processed to JPG with Nikon ViewNX-i, not sharpened, and full crop (100%). Not too bad, yet visibly soft even at center focus. So I just spent a significant amount on a lens that at least outperforms its predecessor! I’d say a combination of 2 benefits: less focus breathing and better sharpness. Also better contrast with the new Fluorite lens, something I also noticed with the new 600mm FL lens compared to its predecessor. 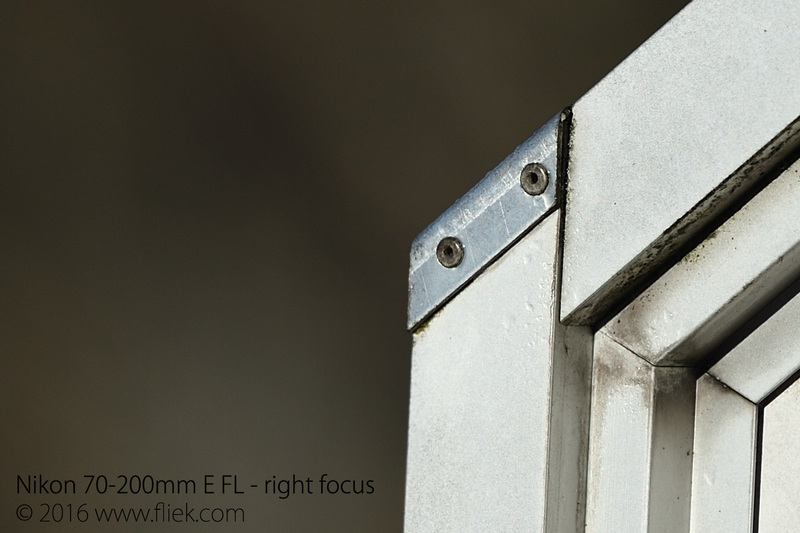 Let’s have a look at one of the left focus points; not te very edge of the lens as I was shooting with a D4S and was using the focus point. I may give it another try some time moving the lens to its very edge… (focus and recompose). Result the same. How about infinity (couple of hundred meters) and still at f/2.8? At infinity the old lens doesn’t show any significant focus breathing anymore, so the images pretty much have the same size. But the IQ on the new lens is better: better sharpness and better contrast. So normally I would end this article with a couple of nice nature or travel shots, but I simply don’t have any yet with this new lens! Stay tuned for a couple of weeks and I will share some hopefully amazing shots. Some of those will hopefully have been taken with a Nikon D500 DSLR: an amazing camera I recently acquired and is slowly exceeding my expectations…more on that soon as well. 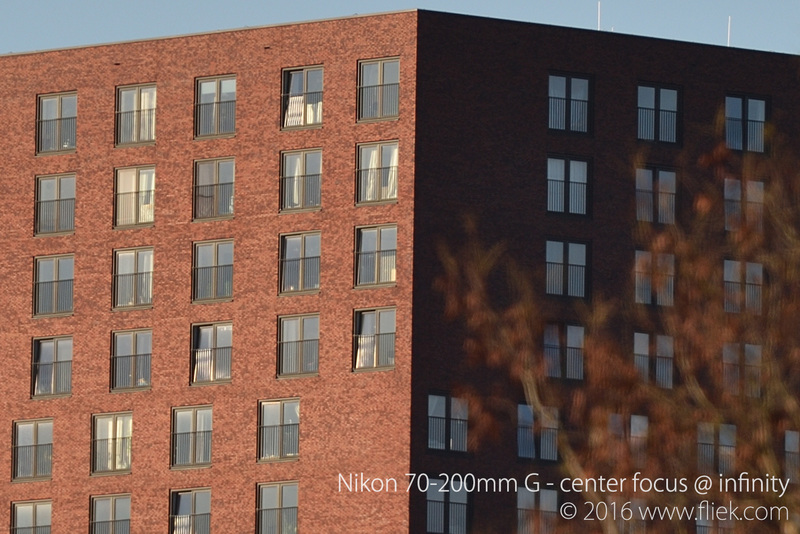 ← “Low-ISO high dynamic range”, humpback whales, Nikon D4S… and New York?